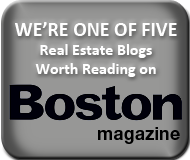 In a April 10, 2012 ruling, the Massachusetts Appeals Court just made it easier for foreclosing banks to evict squatters of foreclosed properties. This is one of the few pro-bank Massachusetts decisions coming out of the foreclosure crisis, and should help speed up the disposition and sale of foreclosure and REO properties which, in turn, should help the housing market. The case is Deutsche Bank v. Gabriel, and can be downloaded here. The defendants were all members of a single family living at 195-197 Callender Street in Dorchester for over 28 years. In 2009, the property went into foreclosure, and Deutsche Bank acquired title by foreclosure deed. As has become common in neighborhoods throughout Boston, the foreclosed upon family refused to leave, and Deutsche Bank brought eviction proceedings against them. The family fought the eviction tooth-and-nail, and asserted the very common statutory defense based on poor property conditions. This defense, if successful, can prevent a landlord from recovering possession. Aside from irony that the family had been living at the premises for 28 years and was therefore the clear cause of any bad property conditions, the Appeals Court held that the family were squatters (and not tenants) with no legal entitlement to raise this defense. Barring another appeal, the court cleared the way for the eviction, some 6 years after the foreclosure and presumably with the tenants living rent and mortgage free the entire time. With the housing market turning around, this decision is some long-awaited good news for those dealing with REO and foreclosed properties. Squatting tenants will be easier to evict and properties should be back on the market faster. Bad news for those fighting foreclosure, but good news for the real estate market.